A carving set. 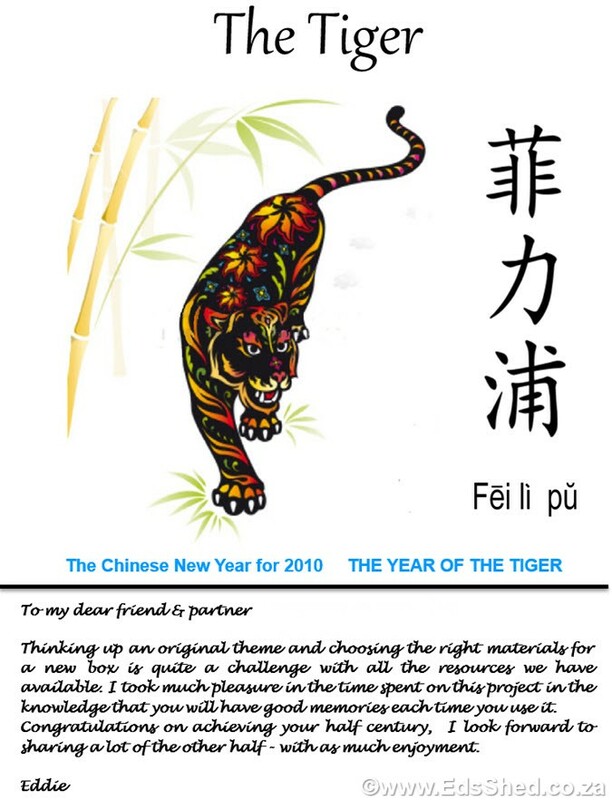 The Chinese year of the Tiger (2010) was chosen as the theme. 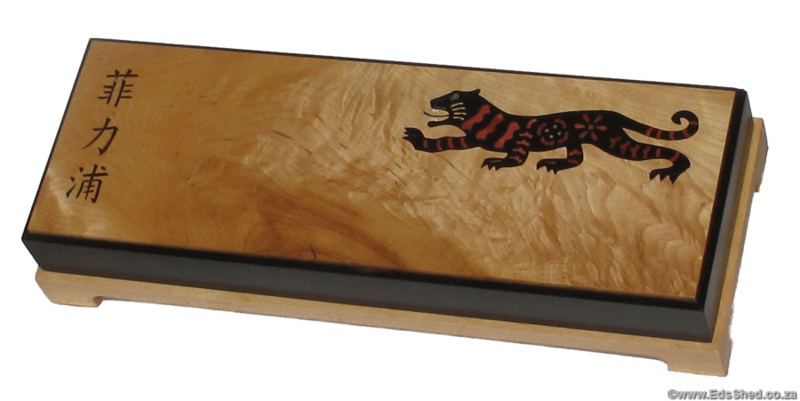 The Tiger Maple top had a fantastic flame chatoyancy which fitted the Chinese theme well. 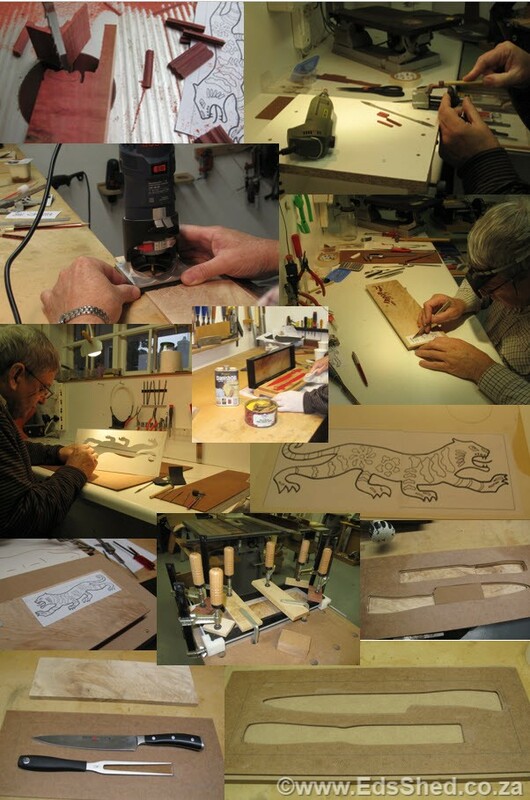 The tiger outline was engraved using a pantograph and dremel tool together with some hand carving. The shapes of Pink Ivory set into the well together with Mother of Pearl (Perlemoen shell), brass whiskers and bone teeth then filled with African Blackwood sawdust/epoxy and sanded level. 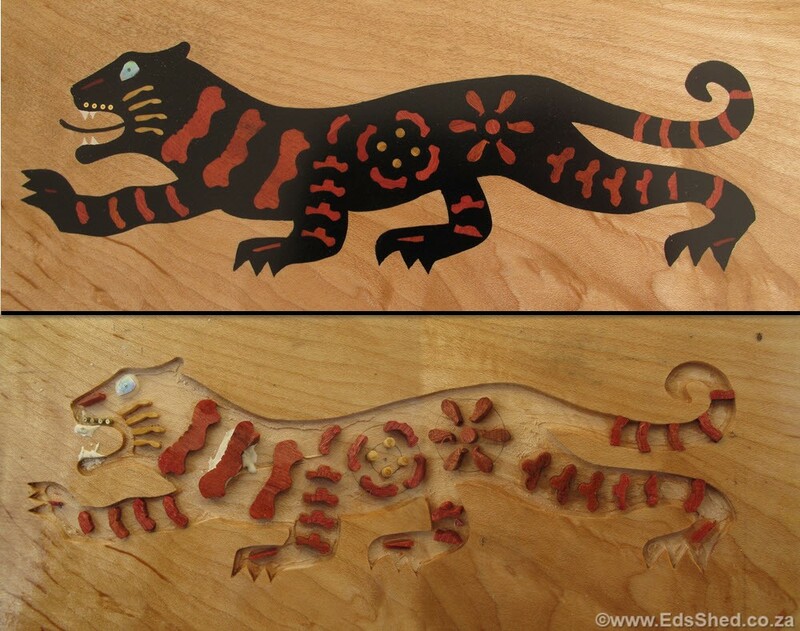 “Philip” in Chinese was hand carved in the lid before filling with epoxy and sanding level. For my friend and Partner Philip Gilmour for his 50th Birthday on 2nd July 2010. 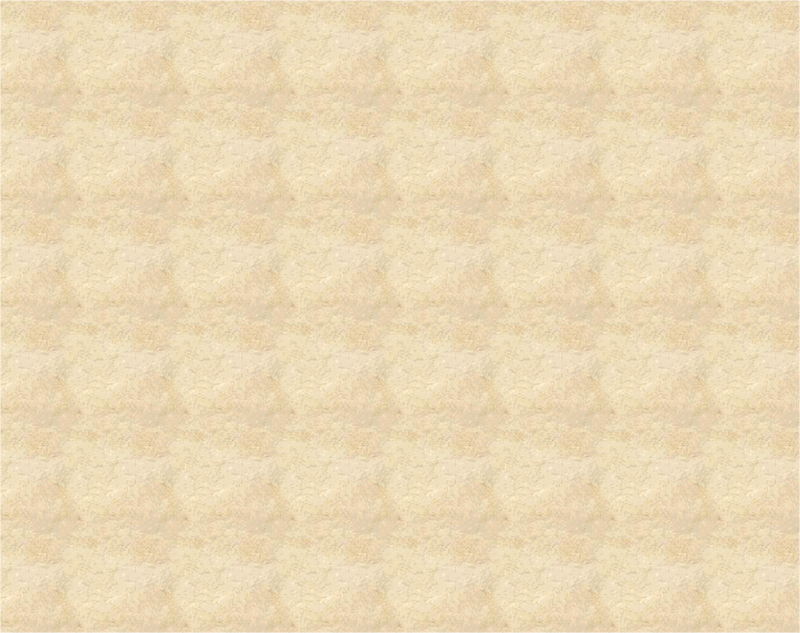 African Blackwood, Curley Maple, Tiger Maple, Pink Ivory, Mother of Pearl, brass & bone. - I just loved this project. A 'fast track' undertaking there was so much going on that year!